KUALA LUMPUR, Malaysia, Oct 3 2016 (IPS) – Given the enormity of the challenges confronting humanity, the world’s investment in science, technology and innovation is woefully inadequate. In 2014, we had been asked to take stock of global challenges and provide recommendations related to science, technology and innovation (STI) that would enlighten the work and decisions of the United Nations.That was a key message I helped deliver Sunday September 18 to Ban Ki-moon in a summary report of the UN Secretary-General’s Scientific Advisory Board — a group of two dozen scientists from around the world who met with Mr. Ban for one final meeting in New York before he steps down December 31. 29 Sept 2016: MIGHT hosts a study visit by delegation from ISTIC-KISTEP S&T Innovation Training Program for High Level Policy Makers, comprising of high level policy makers in STI from developing countries i.e. Pakistan, Nigeria, Iran, Iraq, Cambodia, Eygpt, Myanmar, Oman, Senegal, the Philippines etc. We have also showcased DreamEDGE Sdn Bhd and its cutting edge engineering solutions and always at the forefront of innovation with their various innovation product being introduced by the company. Their list of clientele includes Automotive giants like Nissan, Honda & Proton proves the quality of services that they offer. With United Nations secretary-general Ban Ki-moon’s second and final term drawing to a close, historians will soon begin assessing his accomplishments in that high office, a position once dubbed “the most impossible job on earth” by Trygve Lie, the first secretary-general. They will, for example, dissect his reforms of the institution, notably in peacekeeping operations, and, more importantly, assess the impact of his diplomatic work. In that category, three of the most profound achievements on Ban’s watch were cemented in the past year. Under his leadership, more than 190 world figures representing virtually all of humanity agreed to 17 “Sustainable Development Goals”, setting priorities within the development agenda through 2030 with a defining pledge that no one will be left behind. The ambitious aims of SDGs include ending extreme poverty, fighting inequality and injustice, achieving agriculture and food security, improving access to energy, clean water and sanitation, ensuring healthy lives and “wellbeing for all at all ages”. SDGs also take aim at addressing climate change, an issue Ban began to champion early in his administration. In a speech on March 1, 2007, two months to the day after assuming office, Ban told the General Assembly that “for my generation, coming of age at the height of the Cold War, fear of nuclear winter seemed the leading existential threat on the horizon. But the danger posed by war to all humanity, and to our planet, is at least matched by climate change”. Two years later, he warned that humanity’s “foot is stuck on the accelerator and we are heading for an abyss”. Driven by deeply-rooted concern about the global havoc potentially embedded in the climate change problem, Ban pursued the issue with a determined effort that culminated in a landmark agreement at the United Nations Climate Change Conference, hosted by Paris last December. The third major event overseen by Ban last year was the World Conference on Disaster Risk Reduction resulting in the Sendai Framework for Disaster Risk Reduction 2015-2030. In all of these three achievements, what was inspiring for the scientific community was Ban’s appreciation for the pivotal role that science could play in helping solve these global challenges. He led by example in putting science at the heart of policy making. For years, scientists had sought for a place alongside economists at the centre of policy-making, arguing that science and technology are critically important to development and for improving conditions in low resource countries. In a knowledge-based economy, the effective use of biotech, nanotech and other emerging technologies is critical. Indeed, science, technology and innovation (STI) have helped Malaysia and many other Southeast Asian and the Asia-Pacific countries to largely eliminate poverty and hunger and driven remarkable economic growth. Science advisers, the argument went, are necessary in every presidential and executive office, including the office of the UN secretary-general. As can be said also of Prime Minister Datuk Seri Najib Razak, Ban embraced this perspective as well, and it was manifested in many ways. The Scientific Advisory Board (SAB) of the UN secretary-general is a good example. It is a trailblazing initiative convening 26 experts in the natural, social and human sciences, their advice applied at a multilateral level to advance sustainable development. Announced in September 2013, Ban explained the need for SAB as follows: “We must strengthen the interface between science and policy so that the latest scientific findings are reflected in our high-level policy discussions.” One of his enduring legacies must be the recent establishment of the UN Technology Bank (TB) for Least Developed Countries (LDCs). This has been a long-standing priority of LDCs. Structural handicaps to growth and sustainable development are a defining feature of LDCs. The technology gap faced by LDCs is a key determinant of their structural deficiencies. The state of STI in LDCs remains poor and there is no mechanism to address these deficiencies. TB is envisaged as a facilitating mechanism to help LDCs build robust a STI base by improving LDCs’ technology access, acquisition and utilisation. In doing so, it will promote national actions by LDCs, mobilise international support and build on existing mechanisms. I have had the honour to serve the SG as a member of the SAB and on the TB Governing Council. Ma-laysia’s experience in placing STI as a key element in its national economic development can be shared with other countries. Secretary-General Ban Ki-moon (centre right) meets with the Governing Council of the newly established Technology Bank for Least Developed Countries. From left: Ann Aerts, Head of the Novartis Foundation and member of the ITU/UNESCO Broadband Commission for Sustainable Development; Orkun Hasekioðlu, Vice President of the Scientific and Technological Research Council of Turkey (TÜBITAK); Bitrina Diyamett, Executive Director of the Science, Technology and Innovation Policy Research Organization (STIPRO); Zakri Abdul Hamid, Science Adviser to the Prime Minister of Malaysia and member of the Secretary-General’s Scientific Advisory Board; Gyan Chandra Acharya (Vice-Chair), Under-Secretary-General and High Representative for the Least Developed Countries, Landlocked Developing Countries and Small Island Developing States (UN-OHRLLS); Mohamed H.A. Hassan (Chair), President of the InterAcademy Partnership (IAP) and former Chairman of the Council of the United Nations University; Secretary-General Ban Ki-moon; Abdoulaye Yero Balde, Minister of Higher Education and Scientific Research of Guinea; Sonia Bashir Kabir, Country Director for Microsoft Bangladesh; Aggrey Ambali, Head of the New Partnership for Africa’s Development (NEPAD) Science Technology and Innovation Hub; Rosibel Ochoa, Executive Director of the von Liebig Entrepreneurism Center, University of California San Diego and Alfred Watkins, Chairman of Global Solutions Summits. Kuala Lumpur: His talk on how genetics change the way cancer is diagnosed and treated in the age of precision medicine has brought honour to Dr Abhimanyu Veerakumarasivam when he won the ‘Best Science Communicator award at Famelab International 2016. Malaysian Industry-Government Group for High Technology (Might) in a statement said the scientist from Universiti Putra Malaysia sailed past over 2,000 scientists from 27 countries in the world’s biggest science communication competitions organised by The Times Cheltenham Science Festival in the United Kingdom on June 9. Sharing his success, Dr Abhimanyu said there was a need to communicate effectively, especially to the non-scientific audience, on the matter. “Science communication is essential to ensure that the advancements in science translate into actual improvement of lives,” he said in the statement. This year marked the second time Malaysia participated in the competition that is designed to engage and entertain by breaking down science technology and engineering concepts within three minutes of presentation. Famelab Malaysia was jointly organised by MIGHT and British Council Malaysia. MIGHT president and chief executive officer Datuk Dr Mohd Yusoff Sulaiman said Dr Abhimanyu’s win was a huge achievement for the country. “Dr Abhi’s victory is indeed special and timely as the nation urgently needs to rally everyone to embrace and leverage on science and societal wellbeing through simple, fun yet effective communication,” he said. British Council Malaysia director, Sarah Deverall said making science accessible and attractive to a non-scientific audience through good communication was an ever-growing priority for researchers worldwide. “While the result is truly rewarding for him (Dr Abhimanyu) personally, it is also an excellent achievement for Malaysia,” she said. 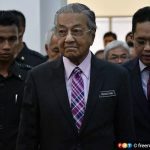 LONDON, May 17 — Prime Minister Datuk Seri Najib Razak said that Malaysia has achieved a reduction of 35 per cent in its national carbon emissions as at end-2015 from a target of 40 per cent reduction by 2020. “We take these targets seriously and this shows the work that goes into meeting them,” he said in his address on Global Competitiveness: Malaysia’s Aspirations during the GSIAC-Khazanah Distinguished Lecture Series here today. The Prime Minister, who is on a working visit to the UK from May 15 to 18, said sustainability not only makes environmental sense but also economic sense as it is a driver of new technology and innovation, and is a sector that is becoming increasingly important worldwide. Najib said the Green Technology Financing Scheme has successfully supported 188 projects, which not only have saved the equivalent of 2.31 million tonnes of carbon emissions but also helped in creating nearly 4,000 jobs. 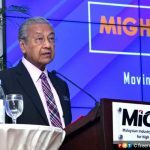 “So this is why we have introduced tax incentives to encourage industries to adopt green technology, set targets for an installed capacity of renewable energy and make green growth an integral part of the 11th Malaysia Plan, which will guide us over the next four years,” he said. Najib said the government also encourages the financing of socially-beneficial and sustainable ventures such as the Sustainable an Responsible Investment Sukuk framework introduced by the Securities Commission and the Environmental, Social and Governance Index launched by Bursa Malaysia. 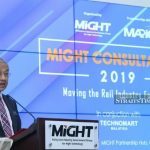 The government also continues to develop new financial assets such as carbon credit-based solutions based on the principles of Islamic finance, he noted. Kuala Lumpur, 30 November 2015 – The Science Advisor to the Prime Minister of Malaysia, Professor Tan Sri Zakri Abdul Hamid today launched the report on the “State of Science at Universities of the Muslim World” to an audience of key stakeholders of Malaysia educational sector earlier today. Nature, a prestigious science journal, has published a commentary on the findings and recommendations of the Task Force of International experts formed by the Muslim World Science Initiative. The Task Force is being chaired by the Science Advisor himself; Professor Nidhal Guessoum of the American University of Sharjah (UAE) is the Convener of the Task Force; and Datuk Dr. Mohd Yusoff Sulaiman, President and CEO of the Malaysian Industry-Government Group for High Technology (MIGHT) as the Co-Convenor. The Muslim-Science Task Forces Initiative, funded partly by John Templeton Foundation, is hosted and supported by MIGHT and its partners, the Islamic World Academy of Sciences (IAS) and the Akademi Sains Malaysia (ASM). The initiative is in line with Malaysia’s aspiration to be a developed nation by 2020 and the Science2Action (S2A) initiative. S2A is a national initiative that seeks to intensify and raise the profile of Science and Technology to support Malaysia’s development beyond 2020. The Task Force includes eminent experts and scholars including Dr. Michael Reiss, University of London; Dr. Bruce Alberts, University of California at San Francisco, former president of US National Academy of Sciences and a recent US National Medal of Science Laureate; and H.E. Professor Ameenah Gurib-Fakim, the President of Mauritius. The Task Force reviewed the ranking of Muslim-world’s universities globally. On average, Muslim countries invest less than 0.5% of their GDP on R&D. Only Malaysia spends slightly more than 1% (the world average is 1.78%, while most advance countries spend 2-3%). Muslim-majority countries have on average about 600 researchers per million of population, and only Tunisia and Malaysia present solid and increasing numbers, at about 2000.